Synthetic basketball courts are a unique alternative to traditional hardwood courts for indoor applications. 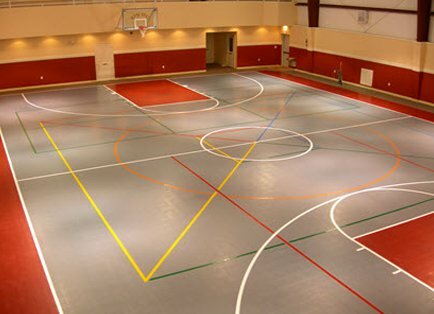 Synthetic indoor basketball courts are exceptionally durable, highly versatile and can be installed using multiple color options and custom logos. 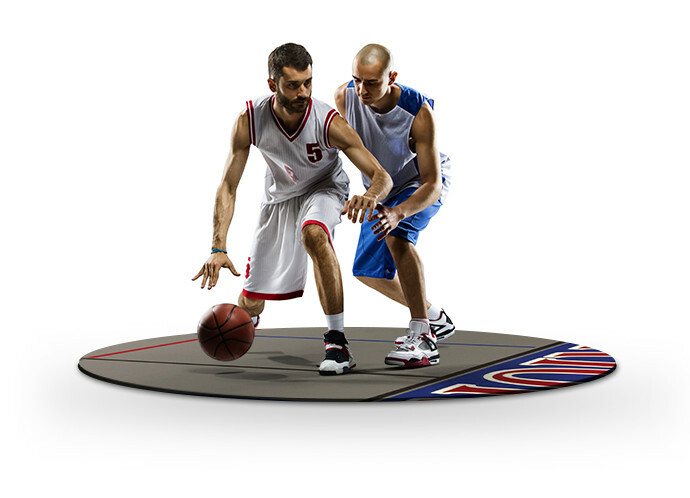 Play on Courts installs both Pad-and-Pour Athletic and Wood Grain Vinyl flooring systems. 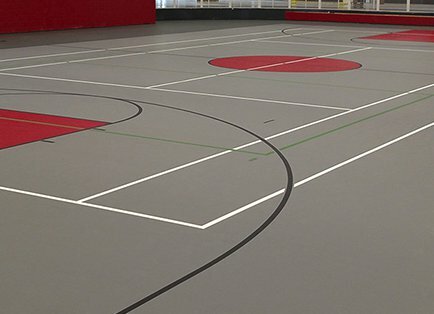 Pad-and-Pour athletic flooring is a seamless urethane, pad-and-pour athletic system offering long life, low maintenance and multiple design options. Wood grain vinyl is a multi-purpose vinyl sheet sports surface that has been designed to accommodate a wide range of sporting events and offers a variety of wood grain or color choices. From competitive sports to social events, synthetic gym flooring is the ideal surface to host a wide variety of activities. Play On Courts offers high-strength, seamless urethane surfacing that built to last. Our experts will specify and install your synthetic gym surfacing, to ensure that it will last for years to come. Play On Courts offers multiple options using poured-in-place urethane, which provides a seamless, forgiving surface that helps protect athletes from injury. The seamless urethane surfacing is a low maintenance solution that is easy-to-clean and cost effective to repair. You can choose from a variety of color and game line options for your facility. We can even incorporate customized team or corporate logos. 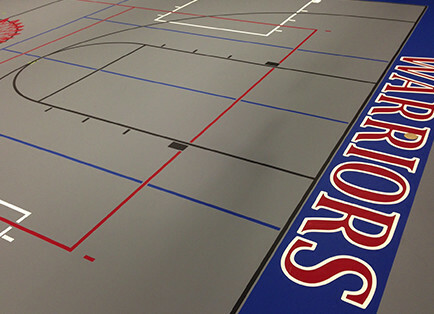 Synthetic gym flooring provides top of the line playability and excellent ball response. Our flooring can host games and practices for nearly every sport.